Liberty City in Miami is compared to Detroit, Chicago and other communities known for their violence, but a new documentary aims to change the narrative about the neighborhood and the people who live there. 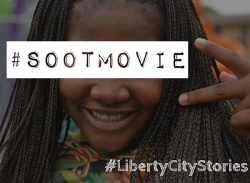 The documentary is called S.O.O.T. (Striding Over Obstacles Together) and it was created by William Foncham II. Foncham was inspired by Barry Jenkins and Tarell McCraney, creators of the Academy Award-winning film, Moonlight, about two boys coming of age in Liberty City. Liberty City, FL, February 07, 2018 --(PR.com)-- S.O.O.T. (Striding Over Obstacles Together) premieres February 9 at the Sandrell Rivers Theatre. Liberty City in Miami is compared to Detroit, Chicago and other communities known for their violence, but a new documentary aims to change the narrative about the neighborhood and the people who live there. Foncham was also inspired by Barry Jenkins and Tarell McCraney, creators of the Academy Award-winning film, Moonlight, about two boys coming of age in Liberty City. S.O.O.T. features a spoken word poem by Foncham, resident testimonies and interviews with advocates, including Watley Clervoix. It was filmed by local cinematographers Michael Marko and Frantzy Moreau. The premiere of the documentary is sponsored by Vice Chairwoman Audrey M. Edmonson, District 3, Miami Dade County Board of County Commissioners. S.O.O.T. premieres February 9 at the Sandrell Rivers Theater.